I hesitated over the genre for Seanan McGuire’s Sparrow Hill Road because primarily it’s a ghost story—or a series of linked ghost stories, in fact, tied together into novel form. Yet the story of restless ghost, Rose Marshall, is definitely set in the contemporary urban America—albeit from the 1950s to the present—of highways, truck stops, and diners. So in that sense it’s Urban Fantasy. 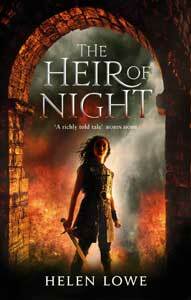 But in the end, with so many folklore elements weaving in and out, such as the power of crossroads, and with references to myths such as Persephone as well, the safe call is just to say it’s Fantasy—and very enjoyable Fantasy at that. And then there’s that person who murdered her: Bobby Cross, one-time heartthrob of the silver screen who has made a crossroads bargain for eternal youth, which is fueled by feeding the souls of his victims to his soul-sucking car. In short, he’s a satisfying antagonist in the context of a ghost story. Probably the best “character” in the book, though, is the world itself, which is one of highways and truck stops woven into the supernatural realms of the dead, from the Twilight down to the Midnight and back again. The other great element is the many flavours of ghost, from “hitchers” like Rose to the “crossroads ghosts”—and the crossroads itself, but to find out more you’ll have to read the book! 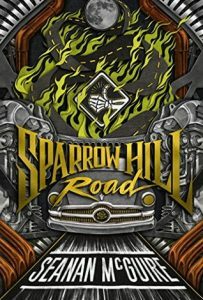 If you’ve enjoyed novels like Neil Gaiman’s American Gods and/or The Graveyard Book, Charles de Lint’s Newford novels, Charlaine Harris’s Sookie Stackhouse books, Melissa Marr’s Graveminder, or Tim Powers’ Fault Line series, then you may well enjoy Sparrow Hill Road, too. LOVE this book, too! As a US-ian, it’s a total love affair with the American mythos of the road and cars. There’s a recently published sequel, Girl in the Green Silk Gown, that’s a bit darker than Sparrow Hill Road. These books share a universe with Seanan McGuire’s Incryptid novels.